Anyone who’s done any work with electronics knows about magic smoke. It is the vital component necessary for any electronic item to function. If you let the magic smoke out of a circuit board or electrical component, it will not work anymore. I never thought about it before, but wires need magic smoke to work too. I was wiring up some electronics recently and due to the small battery size (800 mAh 2 cell lipo) I needed to use JST connectors. I hate JST’s, they’re too tiny. I don’t have a special crimpers for them and they’re just difficult to work with. 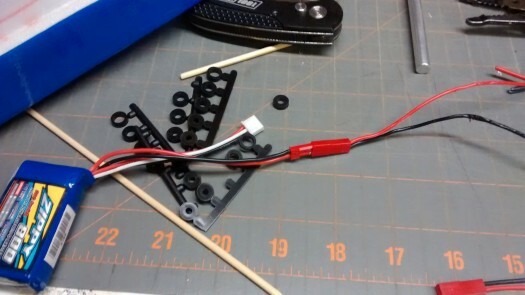 Because of that, I had previously purchased JST leads with the ends already put on, so for this project I just grabbed a lead and hooked everything up. I plugged the battery in and got a little snap and puff of smoke. Magic smoke. Well that’s not good. 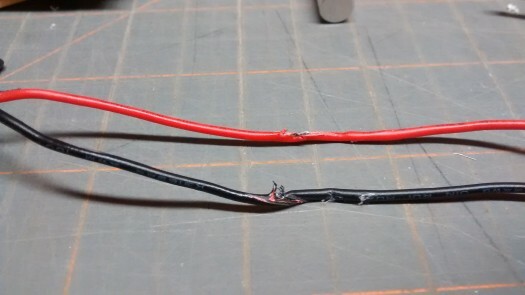 I was afraid I had punctured the ESC and let the magic smoke out of it, but then I saw that it was actually just the wires that were damaged. Wires are cheaper than an ESC, so if you’re going to release some magic smoke, you might as well let it out of the wires. 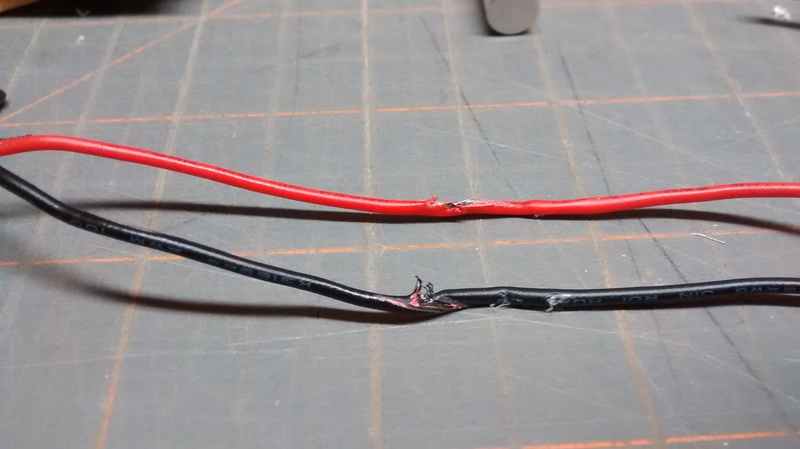 Turns out the polarity of the cheapo lead I was using was opposite of my battery. I had not checked it, obviously, I guess I had a naive faith in some industry standard that would be adhered to by even the cheapest manufacturers. No such luck. As you can see in the picture above, black and red are not lining up the way they would in an ideal setting. 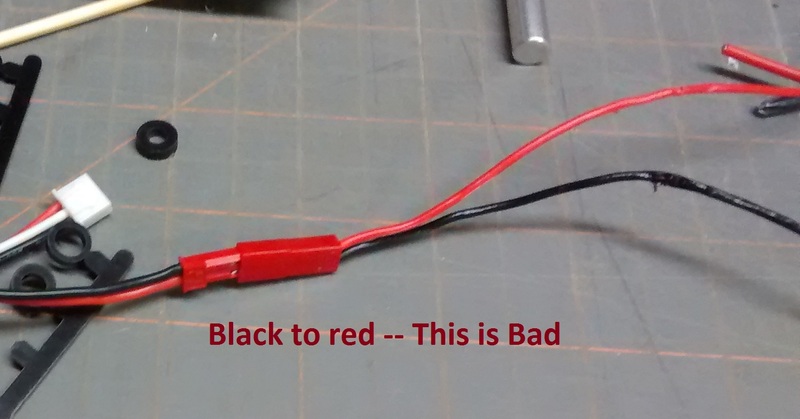 Black to red – a tried and true way to liberate some magic smoke.